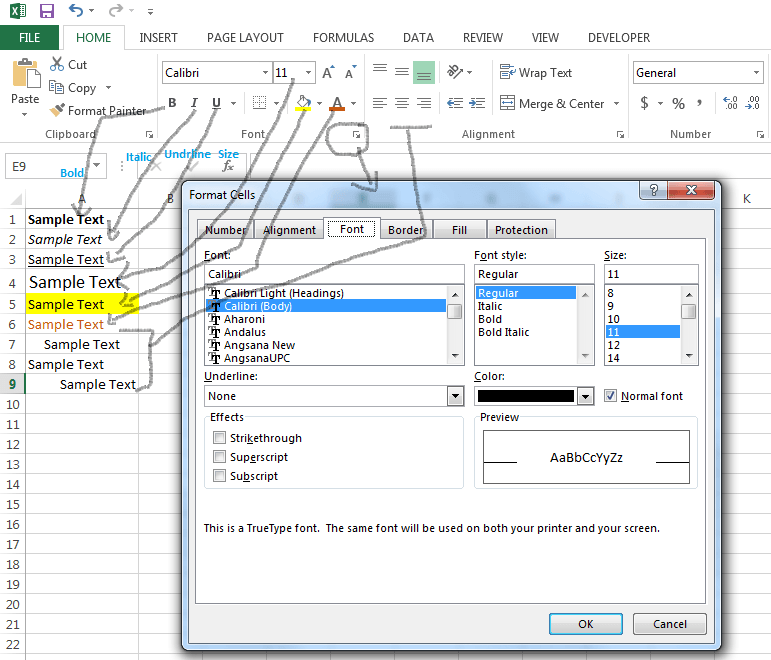 One of the beauty of the Excel is rich formats, we can format the numbers, fonts, font color, background color, alignments and many more things we can do in Excel. 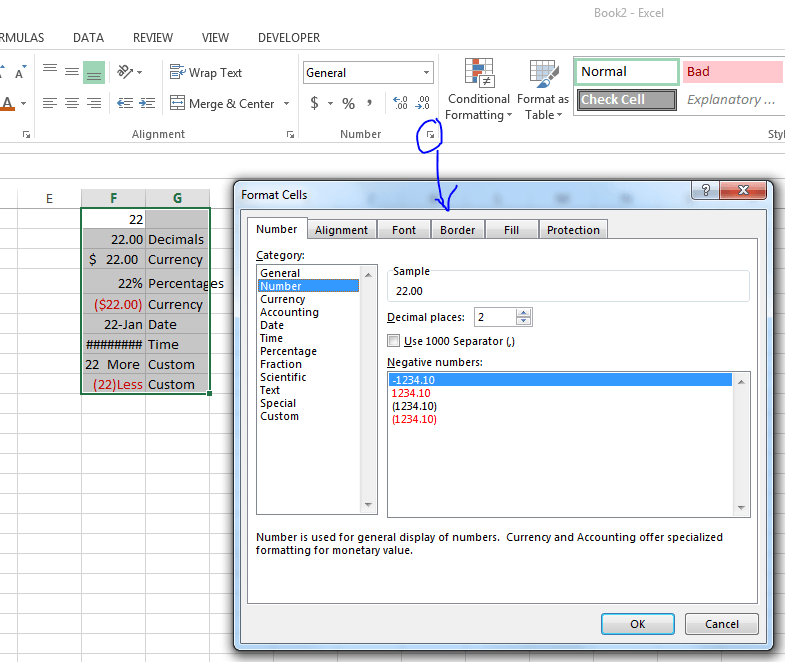 This tutorial will help you to learn Formatting Data and Formatting Cells in Excel. If you observe the Home Tab, you can see many commands to work with formats. We can use these commands to format the Fonts Styles like Bold, Underline, Italic, Font size, Background Color, Font Color etc. You can click on the icon at bottom-right corner to see the more Font Settings. We can format the numbers to currency, percentages, decimals and other formats. We will see in more detailed manner in another topic only on number formats. You can also right click on the Cell and Select ‘Format Cells…” Command from the properties list to view the Format Cells Dialog. 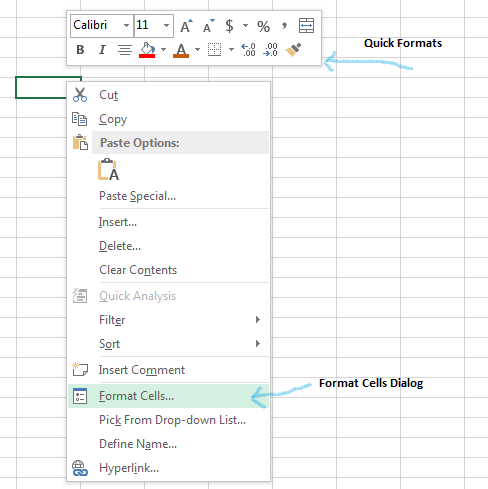 You can use the following Shortcut Keys to Quickly Format the Data. Apply the number format Ctrl+Shift+! Very nice site, a lot of useful ad free information. Thanks!